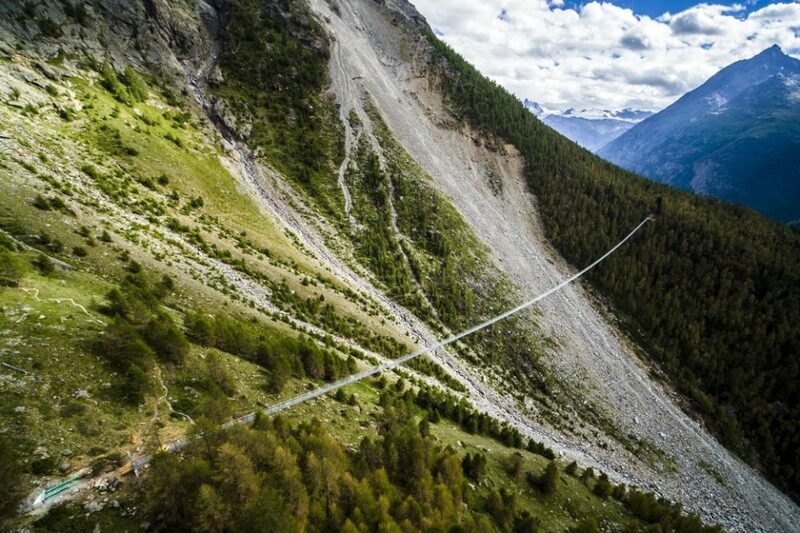 Three hundred feet above the valley floor, a suspension bridge gently sways and bobs as pedestrians cross its 1,621-foot length through the Swiss Alps. 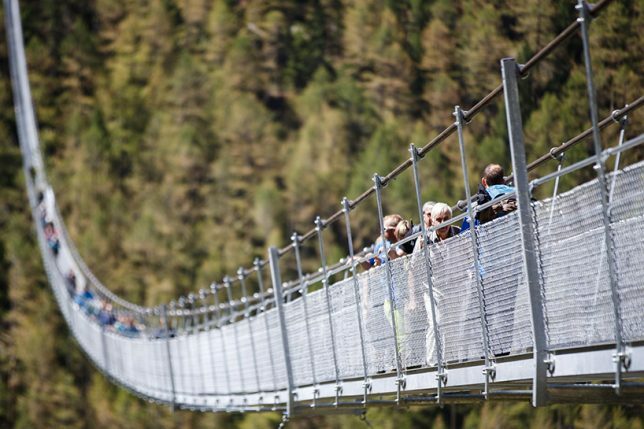 These impressive stats have helped the Charles Kuonen Suspension Bridge in Switzerland break previous records, making it the longest pedestrian suspension bridge in the world. Sure, the glass-floored bridge in China is higher and forces you to look down from your precarious position, but this bridge is almost as scary, considering that it’s not stationary and measures just two feet wide. That means you have to march down its length single-file, making it harder to clutch onto others for dear life. 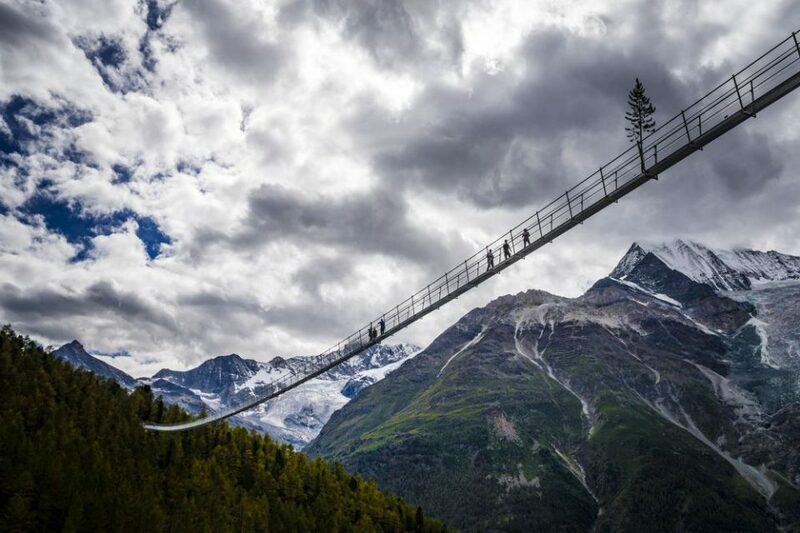 The bridge was completed in 10 weeks by Swissrope and offers magnificent views of the surrounding mountains, including the Bernese Alps and Matterhorn (if you manage to look up and enjoy them instead of staring at your feet and trying not to hyperventilate.) 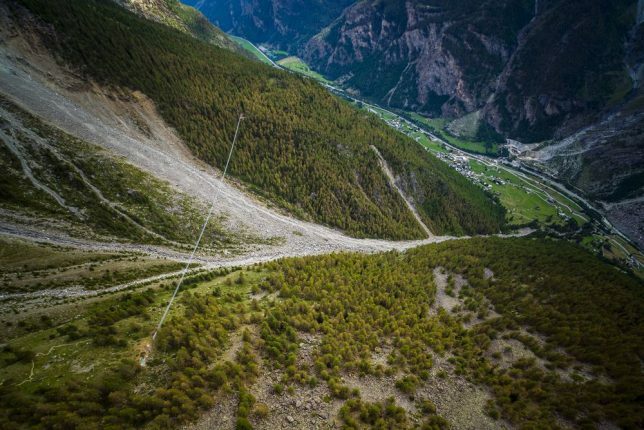 It features a grated metal floor, runs between 5,000-7,000 feet above sea level, and takes ten minutes to walk cross. The pass through the mountains previously took four hours to navigate. 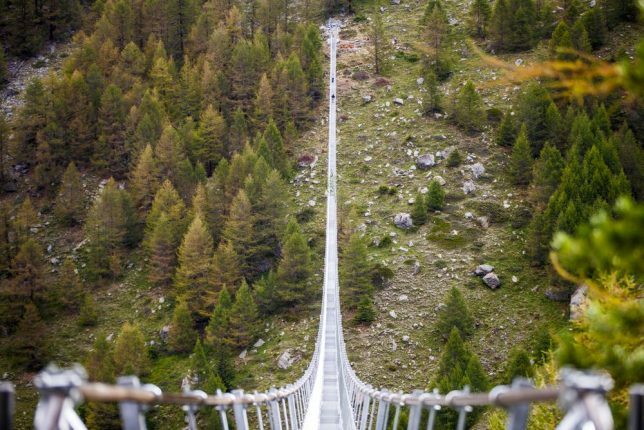 Photos taken from the air (provided by the Switzerland Tourism Board) give us the best idea of the bridge’s scale. 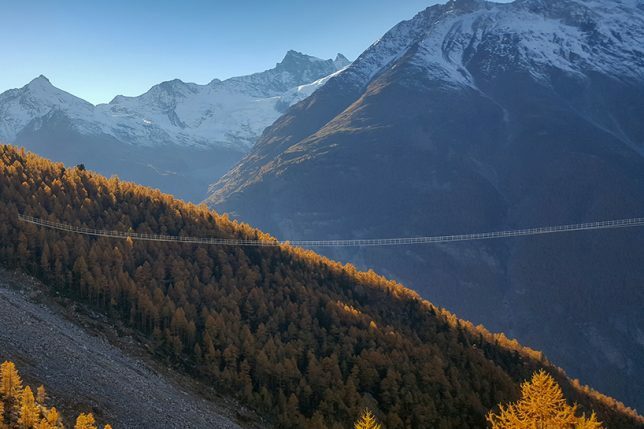 The Charles Kuonen Suspension Bridge links two sections of the Europaweg hiking trail, a two-day link between the towns of Zermatt and Grächen, and replaces an older bridge that was damaged by falling rocks. It’s named for its primary sponsor.